This entry was posted on July 3, 2013 at 10:28 pm and is filed under Drama, thriller with tags 2010. You can follow any responses to this entry through the RSS 2.0 feed. You can leave a response, or trackback from your own site. Nice review. I agree, it wasn’t bad but wasn’t all that great either. Clooney was pretty good in the movie though. Thanks man! I loved the mood and the slow pace didn’t bother me but I felt that it really should have build towards something more satisfying. Cheers Vinnie. Much obliged, man. I have this film but haven’t gotten around to watching it yet. I just keep hearing bad things about it so I put it to the side. It’s not all bad, Chris. I actually enjoyed it but it certainly wasn’t what I was expecting. If you prepare yourself for a slow pace you just might tune into it. I find this film underrated, I really loved it. 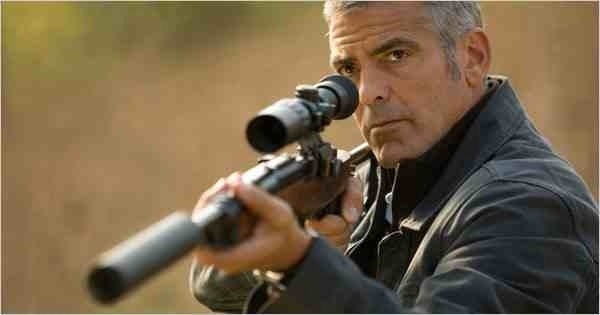 Clooney gives a fantastic performance, I give him my win for that year. 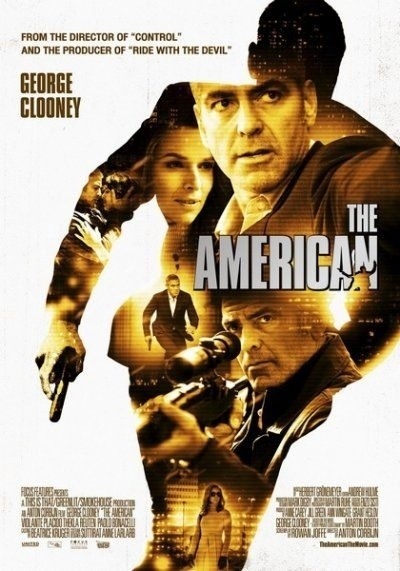 Clooney is certainly on top form and the film does have much to recommend it, but I found that the pace hindered it somewhat and it didn’t deliver certain set-pieces that it promised to. That being said, I would completely write it off. I actually quite liked it. I like this film a lot. Took a few viewings to totally come around, but I think if you know exactly what to expect going into it, you can temper expectations that it’s any sort of Bourne-esque thriller. Reminds me a bit of one of my all-time favorites: The Day of the Jackal. I can’t be overly critical of it John as it does have many qualities and some scenes are masterfully handled. It just felt a little lethargic at times and didn’t move quick enough. It’s certainly not as bad as a lot of people made out, that’s for sure. I liked it quite a bit more than you did, but I can understand your points. It was very slow and the marketing made it seem like an action filled kind of thing. The imagery was beautiful and I didn’t mind the pace at all. Yeah, I think the marketing really hurt this film, Nostra. If you go into it knowing what it’s going to deliver then there’s a higher chance of appreciation. That being said, it still didn’t satisfy me in terms of action or character study. You absolutely nailed this, Mark. As I got the email notification of this post, my thoughts went back to my feelings on this movie, and it’s exactly as you said… far too slow (almost excruciatingly quiet) and not enough character work. It was almost like an exercise in minimalism! Cheers Fogs! It was like an exercise in minimalism and I can see why some would be more positive about this but if truth be told, I was clock watching. Don’t get me wrong, it was brilliantly shot and what action it did deliver was very well done. Clooney was also excellent but I couldn’t honestly say it was an enjoyable experience. the more modern and expected ‘Slam! Bang!’ pyrotechnic “How?”. ‘The American’ reminded me more of ‘The Little Drummer Girl’ than any other recent film in plot and execution. Weird, huh? In terms of the “Why?”, that’s what keeps this film floating. I didn’t dislike it but I was overwhelmed either. I’m not a big action fan so I wasn’t really fussed about the lack of it but it could have had more drive in other ways. I’m actually surprised it made money at the box-office. This is the type of film that certainly won’t appeal to a mass audience. I’d still give it go if you get the chance, though. Not sure if you’ll read this in time, Tyson, but it’s on Channel 4 tonight at 10pm. Fine review Mark. I don’t think I even remember this one! Must have been pretty under the radar. I won’t be rushing to see it but I’d give it a watch if it was on TV. Cheers Chris. In all honesty, I wholly recommend this one. I suppose it does depend on your preference but I’d urge most people to seek this out. Give it a go, man. I would very much like to hear your take on it. CLOON MEISTER!!!!!!!!!!!!!!!!!!!!!!!!!!!!! WAZZZUPPPPP. lol. That being said, I like this movie a lot (i think?). There is very little going on, but for some reason I think about this movie all too often. Love the ending too. Lol. You can’t beat a bit of the Cloonmeister! He’s excellent in this movie too. I liked it but it didn’t really knock my socks off, you know? The ending was good and it had several moments that were sublime but I found that they were too few. Good review and observation about how it is in between a thriller and character piece, but nailing neither. I also like your line about the only thing American about the film is the character. I wished this had done better when it first was released. Thanks again Vic. Yeah, this film did have many positives but it didn’t quite delve fully into its potential for me. Good film but it could have been better. This is a highly underrated film. Piss poor marketing that made this film out to be some sort of Bond meets Bourne really handicapped this film IMO. It is streaming on HBO Go if anyone wants to check it out. would gladly watch more films from Corbijn, I really liked Control as well. I do agree that the marketing harmed this movie. Expectations were not met for many. It’s a bit unfair as the film has some decent stuff going on but it didn’t really cut it for me. I can see why some would take to it, though.